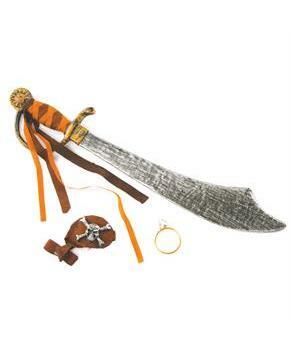 Everything you need to amp up your pirate costume. 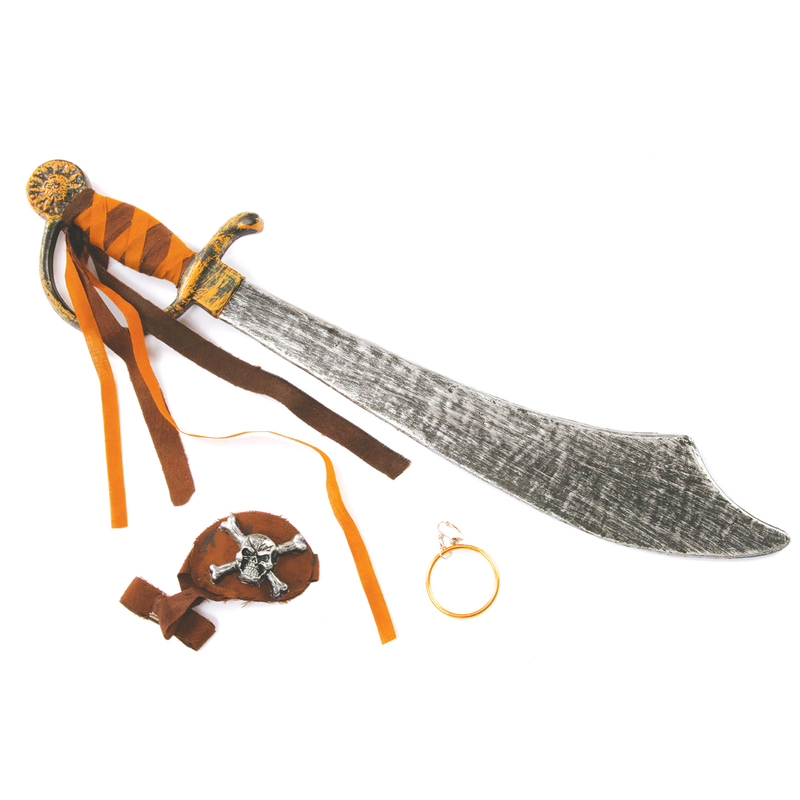 Includes sword, eyepatch, and earring. Care Instruction: Do Not Wash. Wipe With Clean Damp Cloth. Line Dry. Do Not Iron. Do Not Dry Clean.